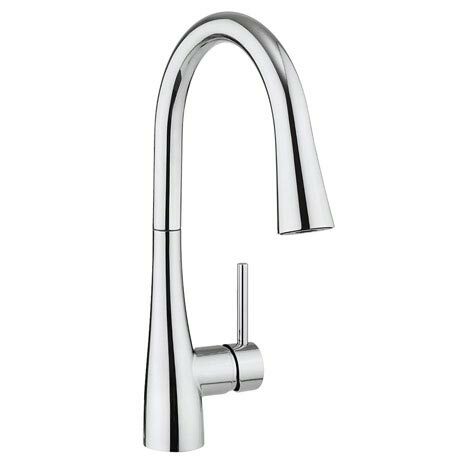 The Crosswater Cook Side Lever Kitchen Mixer Tap, with it's sleek design, stunning chrome finish and useful features such as the flexi spray....is perfect for adding designer style to your kitchen. Suitable for high pressure 1.0 bar. Ideal for rinsing and washing with a handy hose function, great for those in need of a practical solution that doesn’t compromise on style. Really nice product - pull out concealed spray nozzle is really useful and much neater looking than a lot of the sprung alternatives.